Fun game. You said that you plan to expand this game. That's just great! I'll be waiting new expanded version. Thanks for the instructions below by the way. It wasn't too obvious for me that blue guys were my allies. Thanks heaps Fissurefury, I'm glad you took the time to complete it! I have to say outstanding game. I was stubborn (as players tend to be) and didn't seek out any instruction. It took a few losses to realize I was the blue guys. 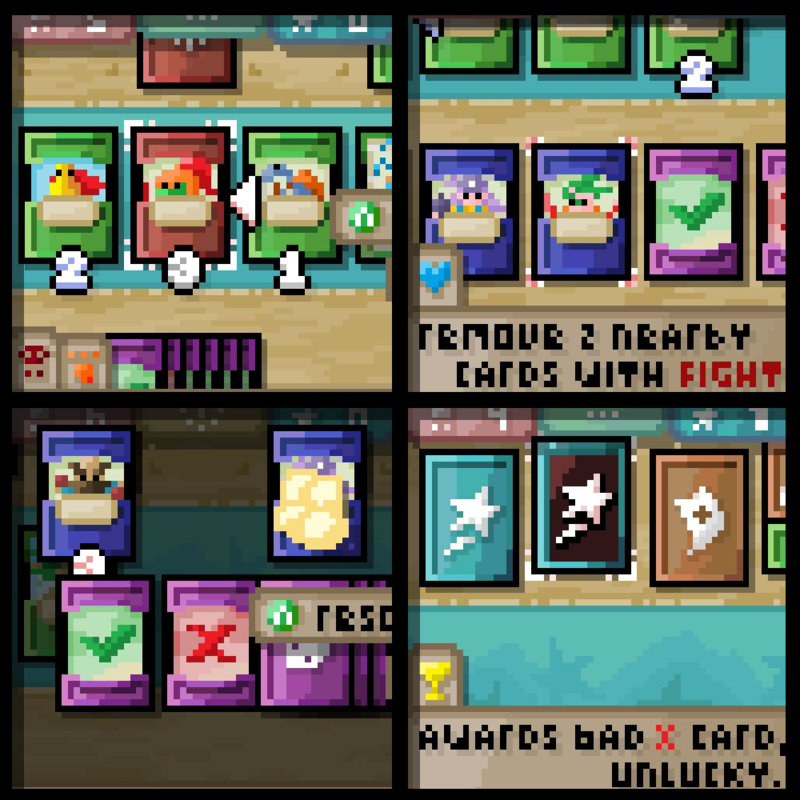 I really liked choosing what order to tackle cards in for the best result. After understanding most of the mechanics it made the random rolls seem much more forgiving. I loved how the music built up as you progressed through waves of cards. Fantastic art direction. I didn't need to fully understand the game to beat it. Really enjoyed it! Until I pack my game with the proper instructions, know that you are the blue guys and you are fighting typically red and green guys. 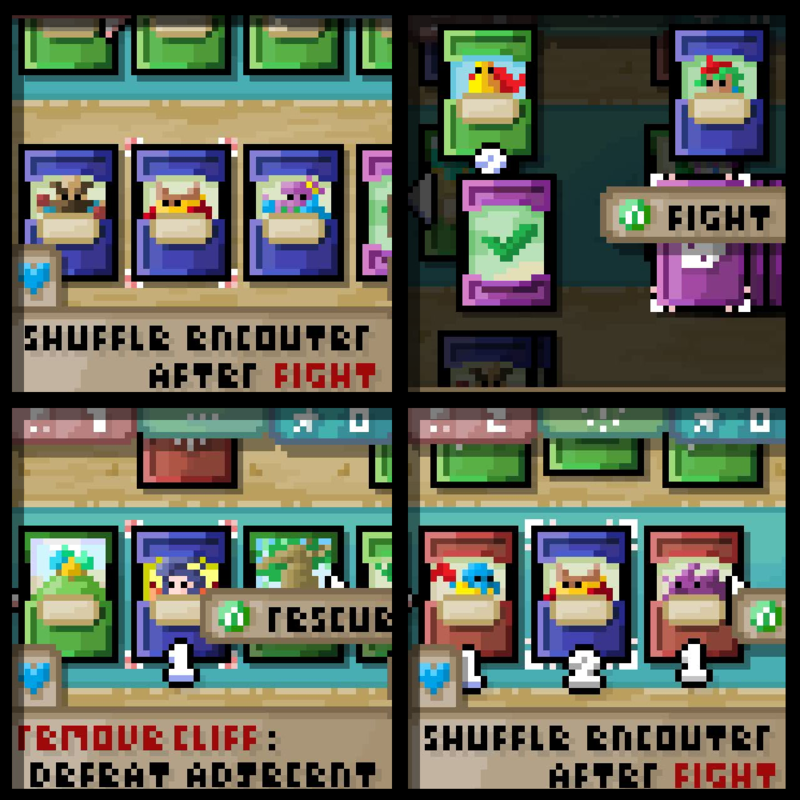 Pressing down will show your current hand of blue Outlaw cards, one of which (typically the leftmost) will be active, although it is a little tricky to tell at this point. The numbers below cards are how many draws from your roulette deck it takes to Fight (red, green cards) or Rescue (Blue cards). Failing either result in your current Outlaw getting popped into the encounter as a hostage needed rescuing. Hi Jack, I haven't tried. I used the default output of Visual Studio 2015 but I'll look into it. Unfortunately I suspect my game needs to bundle the Microsoft XNA Framework Redistributable 4.0 Refresh program to work, which is bundled in the installer. And thanks for the feedback, I'll definitely take the time to flesh out the experience. And yes, you won it! Like Shortee I had very little idea what was going on... Am I blue or red? Am I choosing enemies or picking which of my cards will fight? It says game over instead of victory or defeat. I eventually got to a "Win Gain" or something, is that winning? :P So yeah, I think you definately need a lot more informational feedback in this game so the player can understand what's going on. Other than that it does look like a very nice game, and thought out' the art, ui, color coded text. It's all very awesome. Also, is there no way you could pack this into a stand-alone EXE, I am usually turned away by installers? Thanks for the feedback Shortee, completely understandable since I didn't include the rules! Further note, not explained anywhere, but failing to defeat an enemy causes your current blue outlaw card to become a hostage, and there is a limit of one hostage in the encounter at a time.